We are looking for Export Inquiries for Organic Bio Pesticides for Nematodes Complete Protection from UAE, Russia, Egypt, Turkey, Srilanka and Vietnam. 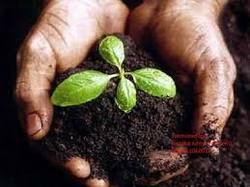 We are offering wide range of Organic Bio Pesticides for Nematodes Complete Protection. These bio pesticides are widely used to protect the plants or crops from the attack of worms and pests, which can destroy the crops. Seed treatment: Prepare slurry by mixing 5 to 10 grams of supramino pacil in 25 ml of water and use this to coat 1kg of seeds. The coated seeds are to be dried in shade of 30 minutes before sowing them in field. Before transplanting seedlings: Mix well supramino pacil at the rate of 10 grams per liter of water and dip roots of seedlings for 15- 30 minutes before transplanting them in field. Field application : Mix application supramino pacil 1kg in 25 kg farm yard manure ( FYM) and broadcast it in 4000 meters (one acre). 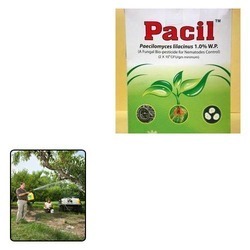 If supramino pacil mixture is incubated with FYM for 7 days in a cool under place under shade and covered with a wet jute bag before broadcast application, the performance for supramino pacil improves dramatically.